Burma’s main opposition party, the National League for Democracy (NLD), asked permission on Monday from the Burmese government and the country's Union Election Commission (EC) to engage in talks with the rebel Kachin Independence Organization (KIO) over security conditions in the northern state. The move follows the postponement of polling at the upcoming by-election in three constituencies in Kachin State due to security concerns. It said voting would be held when security conditions had improved. Asked for a comment in response to the NLD statement, KIO spokesman La Nan told The Irrawaddy: “We will open our door to meet any group for talks about the rights of people and the political situation in Burma. We condemn what the government said, and deny that the election must be postponed because of the KIO. “During the 2010 and 1990 elections, the KIO did not interrupt the process,” he said. Tu Ja, an independent candidate listed to run in Moe Kaung Township, echoed the KIO's position that it was safe to hold elections in the three townships. Snoopy: when KIO was formed in 60's its intent was to separate in accordance with PangLong agreement and 1947 Constitution. Why not change the name KIO to KNO (Kachin National Organization) or to KDO (Kachin Development Organization) to present a better image. The word "Independence" suggests "separation". Can anybody explain what KIO means by "Independence"? What KIO spokesman La Nan said is absolutely right. NLD is barking at the wrong place. Does NLD only care about the election but not genuine peace in the country or I would rather say in ethnic areas? Why don't you speak for 75,000 Kachin war refugees? 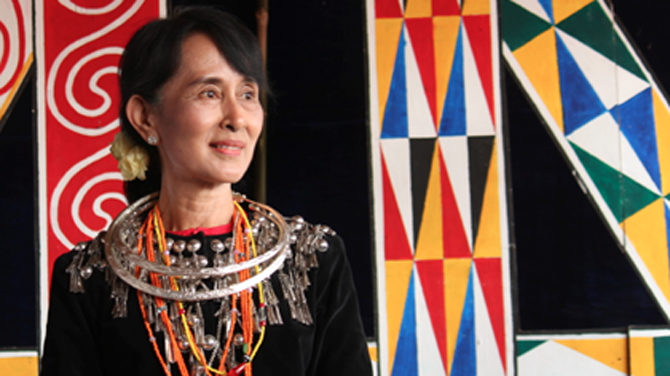 Why don't you dare to promiss to fulfill the promiss that General Aung San made to the ethnic people? Why don't you ask the Burmese government to pull back all it's troop from KIO area or Kachinland? Why don't you praise KIO for protecting its citizens while the Burmese government is killing them? Well... The answer seems to be those are not our business, we only care about NLD winning the election! I bet you will not win in those three areas unless you care about the people who live there and their relatives and friends who are the victims of the Burmese government's oppressive war. Media are using the words rebel to the ethnic resistance groups is too discriminate, unbalance power. If media are still using the "rebel" to the ethnics armed group will really hard to reach national reunion. Thinks about the sensitive words could misleading. The authority never tell truth, the situation is better then prevous general election. Why authority wants to postpone the election in Kachin Sate, just because USDP party candidate dare not campaign Kachin area is the fact. Bama chauvinism is still existing, it is too sad, be broad minded. The KIO/KIA will not disturb in non-liberated areas [under Thein Sein government controlled areas] in Kachin State. But due to Tatmadaw's military operations in the KIO controlled areas you will not have secure election and we will not allow to operate polling stations since we do not recognize the 2008 constitution. There could be only one explanation for the postponement in those 3 townships, Government backed candidates will be defeated. Take off our Kachin traditional dress...right now..
Are there any vacancies in UWSA controlled areas? If not, does it mean they belong to China?